This laboratory was found in 1972 by Prof. S. Todorov as a Radiational Microbiology Laboratory in the Department of Molecular and Cell Biology in the Institute. Its activity was linked to isotopic analysis of nucleic acids of microorganic origin; Molecular hybridization; Gradient analysis and more. Since 1992-2000 the laboratory has been renamed to the Laboratory of Radiational Microbiology and RNA Technologies and was led by Assoc. Prof. Dr. V. Zlatev. The main directions in the team's development were: study of serovar specific plasmids of salmonella strains; plasmid analysis of epidemic dysenteric strains; Genetics and metabolism of pertussis bacteria. Since 2000 the head of the Laboratory of Molecular and Radiation Microbiology was Assoc. Prof. Panayotov, PhD. The main directions of the laboratory activity are: routine diagnostics by PCR and RT-PCR test for B. pertussis, atypical pneumonia acquired by C. pneumoniae, M. pneumoniae, chlamydial infections (C. trachomatis) , Development of molecular-epidemiological methods - Random Amplification of Polymorphic DNA (RAPD), Amplified fragment length polymorphism (AFLP). 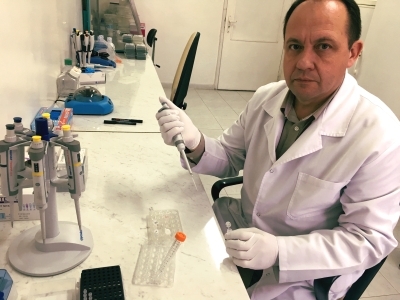 From 2012 the laboratory developed and introduced diagnostics for bacterial meningitis by conventional PCR and RealTime PCR for N. meningitidis, S. pneumonia, H. influenzae. In 2013 and 2014 N. meningitidis typing by RealTimePCR was introduced and the typing of 16 S. pneumonia serotypes/serogroups was applied by conventional PCR. In 2016 was implemented a typing of 6 serogroups for H. influenzae by RealTimePCR and we introduced diagnostics for Bordetella parapertussis by conventional PCR. Every year, the quality of the laboratory's diagnostics work is controlled and certified by the Institute for Standardization and Documentation of Medical Laboratories , Düsseldorf, Germany. Pertussis, still pertussis or donkey cough is an acute infectious disease of the respiratory tract caused by GR (-) coccobacterium Bordetella pertussis. The disease is transmitted by air-droplet route. It also affects adults, but mainly young children and adolescents are receptive to it. Chlamydial infection is caused by an intracellular bacterium called Chlamydia trachomatis. It is sexually transmitted and affects both men and women. Suitable materials for PCR testing for men are first morning urine or urethral secretion, and for women a cervical secretion taken by a gynecologist. A test for community acquired atypical pneumonia caused by Chlamydophila pneumoniae, Mycoplasma pneumoniae, Streptococcus pneumoniae and Haemophilus influenzae. Chlamydophila pneumoniae, Mycoplasma pneumoniae, Streptococcus pneumoniae and Haemophilus influenzae cause atypical pneumonia. Infectious is reported to be transmitted from person to person by air-droplet route. Helicobacter pylori (Hp) is a spiral gram-negative microorganism. Experts have found that it exists in the stomach of about 50% of the population. Much of the infected are without symptoms and do not suspect problems with gastrointestinal disorders - ulcers, GERD, gastric cancer. Suitable materials for PCR testing are materials from biopsy. Many bacteria cause meningitis. Neisseria meningitides, Streptococcus pneumoniae and Haemophilus influenzae cause about 80% of the cases. Etiology depends on whether the infection is acquired in a hospital or is acquired in society, with the age and general condition of the patient being of particular importance. Infection with the causative agent is by air-dripping from sick or healthy bacterial carriers and cranial trauma. The classic symptoms of acute bacterial meningitis include fever, headache, general hyperaesthesia (light-headedness, intolerance to strong sounds and touch), meningitis, and disturbances in consciousness. Meningial symptoms are due to irritation of brain envelopes due to increased intracranial pressure caused by cerebral edema and malfunctions in the cerebral spinal fluid. The laboratory has been accredited by the Bulgarian Accreditation Service (BAS) since 2003 according to the European requirements of the standard BNS ISO EN 17025 for high quality of work. Since 1998, the quality of diagnostic work has been controlled and certified by the Institute of Standardization and Documentation of Medical Laboratories, , Düsseldorf, Germany. 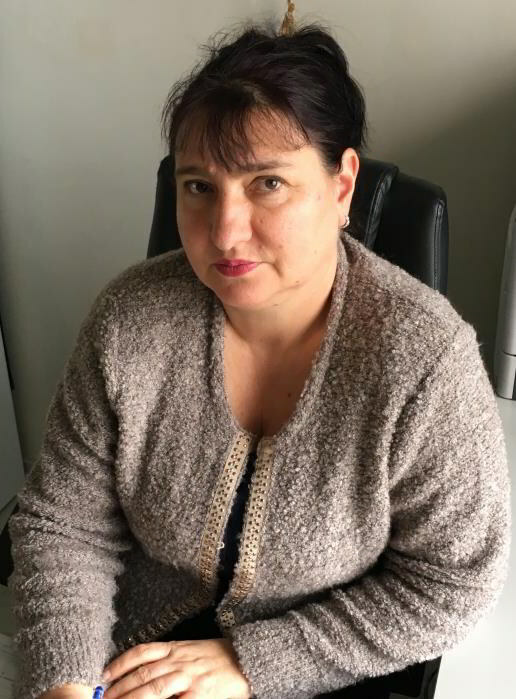 Since 2006, the laboratory has organized National External Laboratory Control of Molecular Biological Diagnostics in Bulgaria by issuing certificates. An annual course is included in the Specialization program including molecular diagnostics and typing of infectious agents. Students, specialists and PhD students are trained in the laboratory. The laboratory works on projects funded by the European Community for research and technological development including demonstration activities. It participates in the implementation of international projects and programs and has a long-term international cooperation with teams from France, England, Holland, Sweden and Italy. 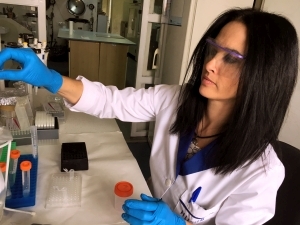 The laboratory regularly publishes results of its work in specialized international and Bulgarian scientific journals and reports to national and international congresses. Bordetella pertussis RealTimePCR 41 lev. Bordetella parapertussis PCR 41 lev. Chlamydia trachomatis RealTimePCR 41 lev. Helicobacter pylori PCR 41 lev. Chlamydophila pneumoniae RealTimePCR 41 lev. Mycoplasma pneumoniae RealTimePCR 41 lev. Neisseria meningitidis RealTimePCR 41 lev. Haemophilus influenzae RealTimePCR 41 lev. Taking a throat or eye discharge 4 lev.